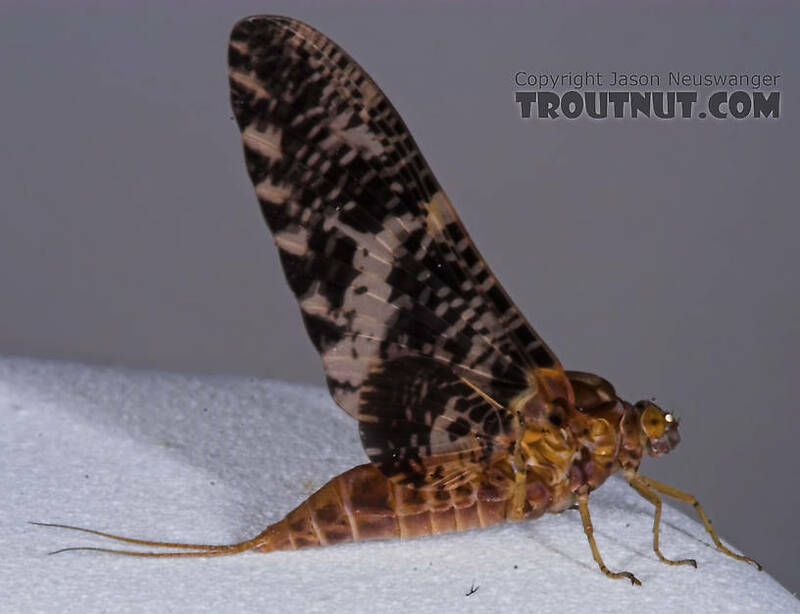 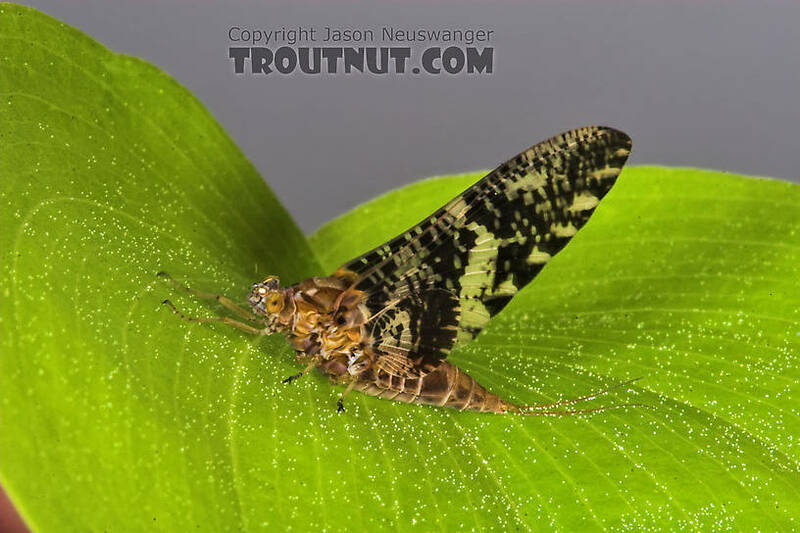 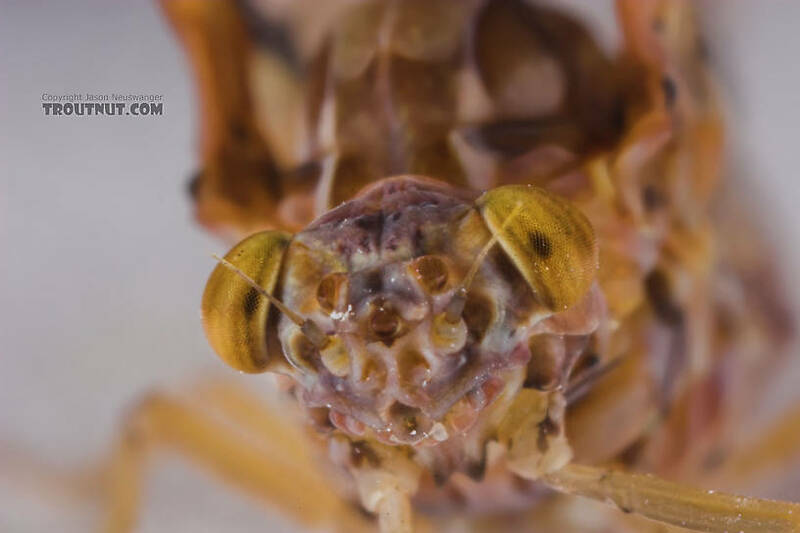 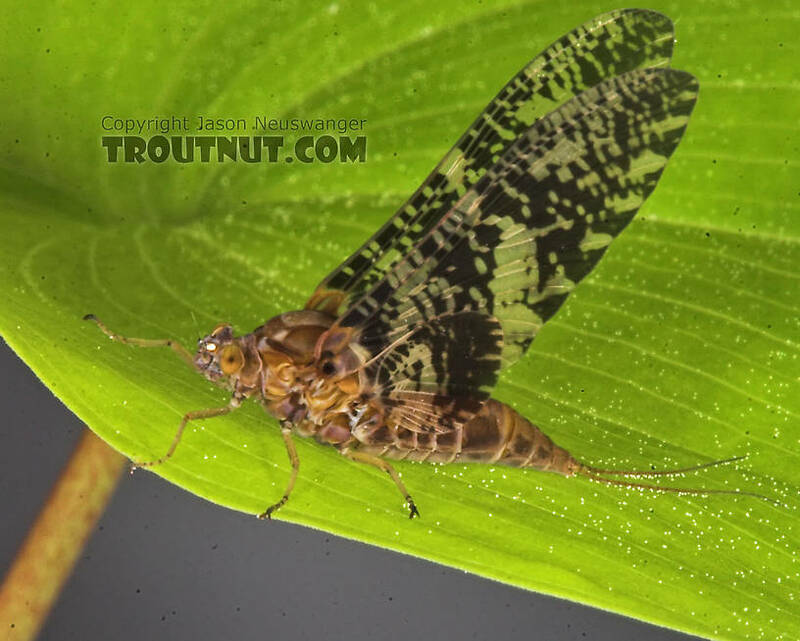 This mayfly was collected from the Marengo River on June 5th, 2005 and added to Troutnut.com on May 25th, 2006. 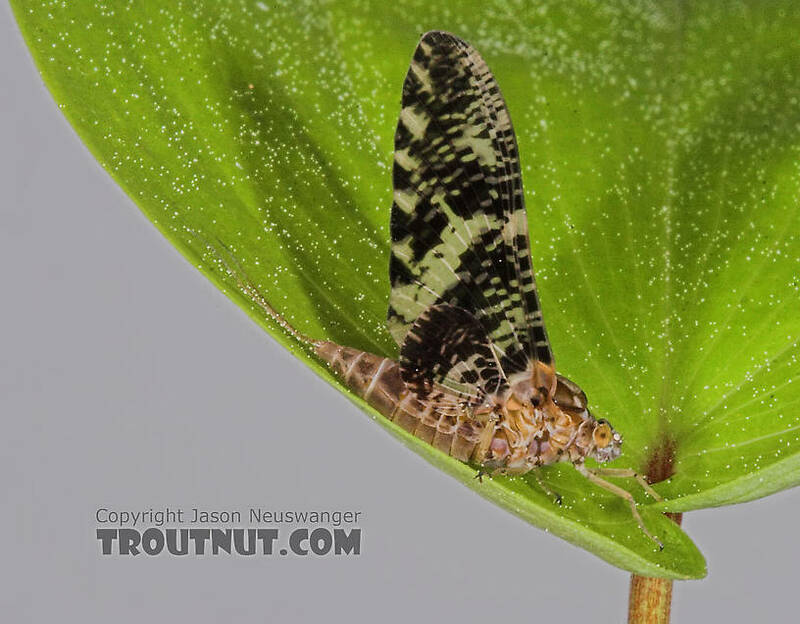 Wow, believe these are the first photos I've seen of winged Baetisca. 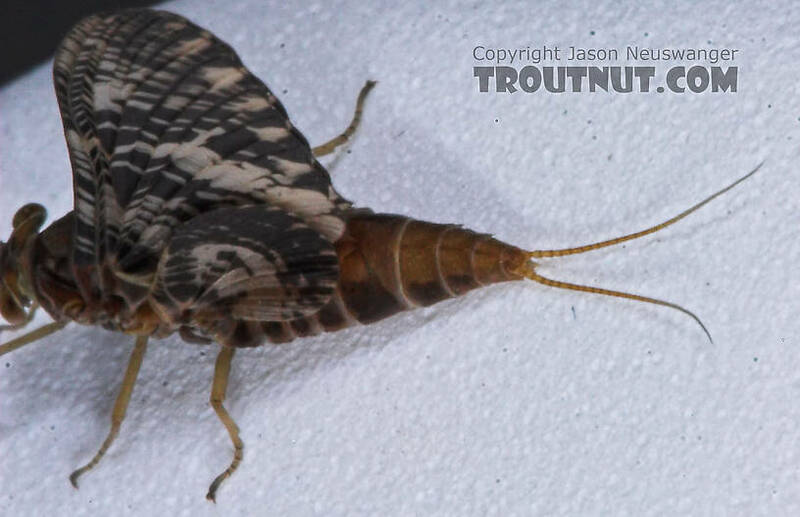 They certainly have a stout abdomen, don't they. 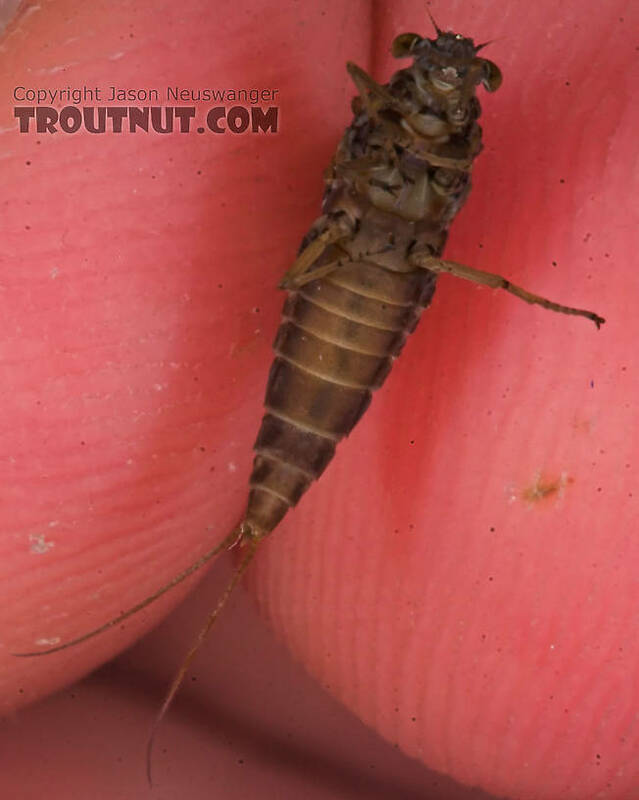 Guess that shouldn't be a particular surprise given the shape of the nymphs, but must admit it startled me.